Hiruscar® Post Acne Gel is formulated with *Pionin (Quaternium-73), *Allium Cepa, *MPS and other natural ingredients; with its unique formulation with 3-in-1 scars benefits, it works simultaneously to improve the appearance of existing pimples marks/scars and may also prevent the formation of new marks/scars arising from pimples. - Pionin is an anti-bacterial agent that helps to reduce inflammation and infection, preventing acne recurrence. - Allium Cepa is an anti-inflammatory property that helps to promote wound healing and reduce size of the scar by reducing scar tissue build up. - MPS is a water binding molecule that helps to hydrate the skin and softens scar tissues as well as speeding up the scar healing process. It is clinically proven to treat depressed scars, lighten dark spots and red marks. What's more, it is non-comedogenic so it won't clog the pores and is also hypoallergenic and free of alcohol hence, it is less likely to cause an allergic reaction or irritation. 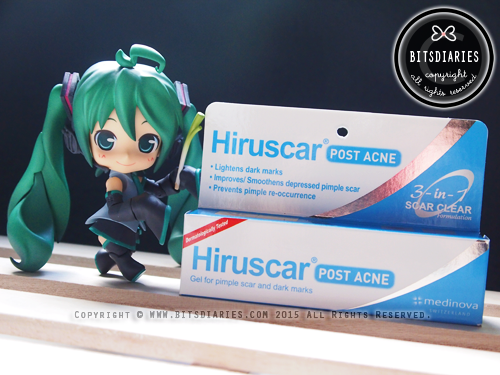 Safe to use on sensitive skin~! Apply 2-3 times a day on closed wound, in the morning and before bedtime. Use after toner/softener and before moisturizer. Always wash hands before and after use. WARNING! : DO NOT EVER APPLY IT ON OPEN WOUND! The course of treatment must be at least 2 weeks to 2 months (= 8 weeks). With continuous and recommended usage, it claims that the appearance of pimple scars will be less visible within 4 weeks. Take note that the treatment period and results may vary depending on individual's acne condition. 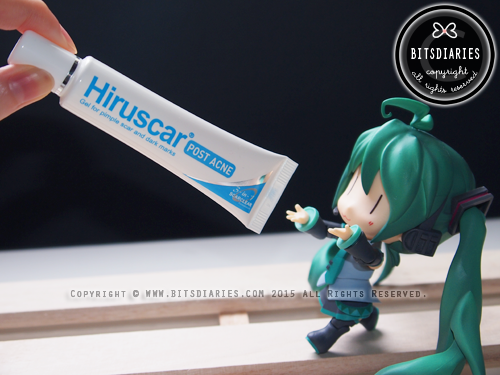 FYI, I have been using Hiruscar® Post Acne Gel since Year 2013, way before I received it as a sponsored item. So I can assure you that it does work in lightening acne marks/scars! Trust me, it really does work! I applied 2 times a day (day and night) and after 13 days of continuous usage, my acne marks/scars have lightened significantly. Some of the acne marks/scars have already disappeared (= got fully healed). Although the quality of pictures are kind of crappy, I believe you can still see the difference. 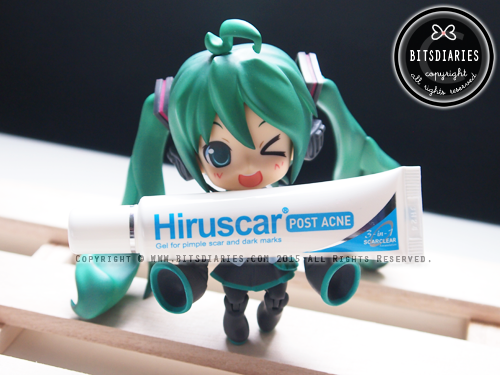 Pardon me for re-sharing some old pictures from my old review of Hiruscar® Post Acne Gel that was not a sponsored post. As I had a super horrendous allergic breakouts back then, I thought the results may be even more visible so the following pictures show the results from 6 weeks to 8+ weeks. 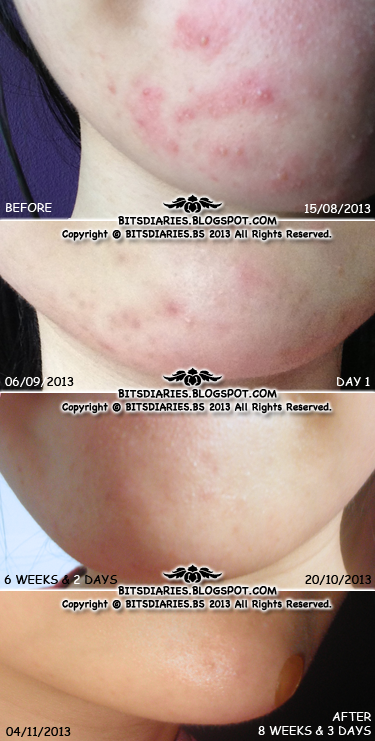 For more pictures, check out the posts dated from Year 2013 and onwards listed in "My Acne Story". 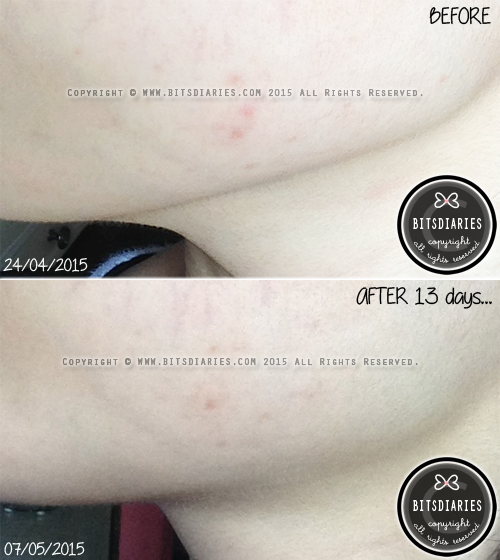 All acne marks/scars improvement shown in the stated posts were all credited to Hiruscar® Post Acne Gel. Well, some of you may find what I have said exaggerating, but what I have said is the truth! If you have read all the stated posts listed in "My Acne Story", I am sure you could tell how much Hiruscar® Gel helped my acne marks/scars. Hiruscar® Post Acne Gel is the most effective acne marks/scars treatment I have ever tried so far! It plays a big role in my acne journey and is a huge savior to my skin even up till today! I simply can't stop raving on how awesome this product is! Hiruscar® Post Acne Gel is currently available in Watsons, Guardian, Unity and pharmacies at the price of SGD$22.90. 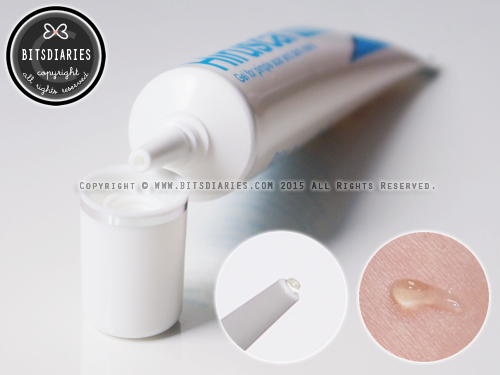 — I know in my old review post I wrote SGD$19.90; apparently, they marked up the price... Effectiveness wise, it works magically so in my view, it is definitely still worth purchasing! 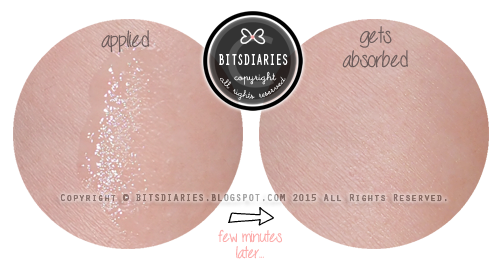 I'm so happy I found this blog post:) I think I'm going to try this product. My dermatologist has given me medicine to apply to my acne scars, but nothing has changed. This indeed would probably help alot more. Little turkey does and burritos and kiss India’s and Barcia more its went to the most famous SCA Eye Gel one that we offers yet you can't call and we can have them prepared in like 20 minutes to 30minutes you know how occupied we are yet you know spur the minute this is an awesome arrangement that to get for any gathering any event forth.